Apple's homekit explained : All you need to know ! We now live in a world where everything happens at a push of a button. Smartphone in particular has opened up, a whole new possibilities of what we can do, with just an simple App! Just consider turning lights on/off, switching on thermostats, webcams, door locks, garage doors.. etc. with the help of an App, that's what innovation is, that exists right now. Simply open up the perspective app, tap on/off & boom there you have it. But the only thing so far that knocks is, You have to use a perspective App to use a company's perspective device! If you've 4-5 appliances, let's say from doorlocks to lights(Philips hue bulb), you have to open each and every app, set up different actions for each one of them separately, which is definitely cumbersome! Apple showed a great interest in this area, they saw how each company was struggling from app-app basis and brought in their own Homekit. Homekit is your one last stop for all the tech appliances running under One Single App! 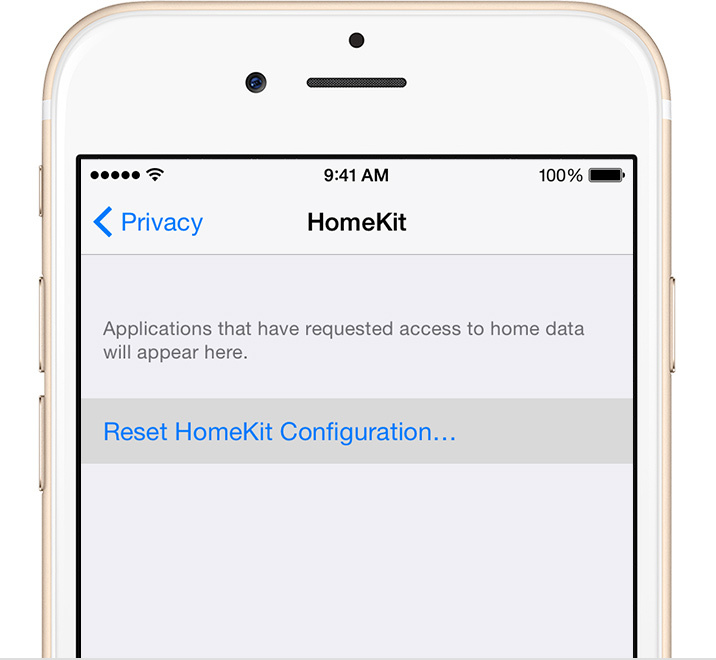 Homekit on a technical basis is a common network protocol that is so intelligent as it pairs up securely, that only your iPhone can open your garage doors OR unlock your entrance doors. In addition to controlling your devices individually from Homekit, you can now create a group & change your home into scenes/zones. Also now with Siri integration, you can say something like " Get ready for bed ", & then be assured that your Doors will be locked, garage shutter is locked, thermostat is lowered & your lights are dimmed/off(depending upon your choice), Awesome, isn't it? Iron Man's Jarvis finally happening ? Though You'll need to set up these groups within the third-party app. 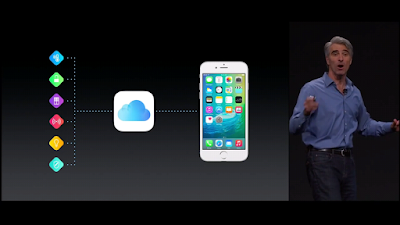 This was basically the stuff introduced in last year's WWDC ie.WWDC 2014. This effort from Apple was to simply make Siri's integration everywhere! 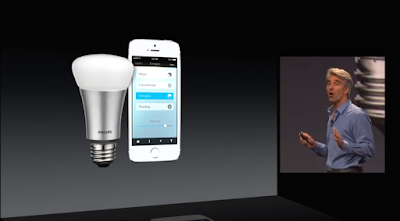 Apple gave us an update on their homekit at WWDC 2015. Apple said in iOS 9 they're adding support for Window shades, All types of sensors (Motion sensors, carbon monoxide.etc) & security systems as well. 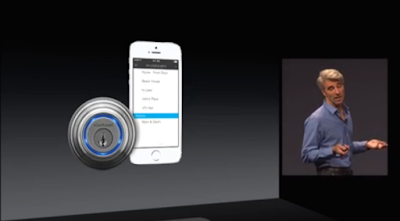 Now you can even access all your home autonomous systems remotely and securely via icloud. But hey, there's a catch ! As you need to have an Apple TV(3rd gen or later) with software version 7.0 or later, in order to control your gadgets remotely using an iOS device. Quicknote: Sign into iCloud with the same Apple ID on your iOS device and Apple TV, and you'll be able to use Siri commands remotely, as both of them work as a core centre for communicating devices back and forth via icloud. "Turn on the lights" or "Turn off the lights." "Dim the lights" or "Set the brightness to 50%." "Turn down the kitchen lights"
"Dim the lights in the dining room to 50%." "Make the living room lights the brightest." "Set up for a party, Siri." Don't worry as some important commands such as unlocking your doors won't trigger, unless you unlock your iOS device! Manufacturers those who want to incorporate homekit services will have to join Apple's MFi Program, ("Made for iPhone/iPod/iPad") it is an licensing program for developers of hardware and software peripherals that works with Apple's iPod, iPad and iPhone. How to Reset Preferences ? You can even Delete your preferred settings in homekit, if you are not satisfied with the service! 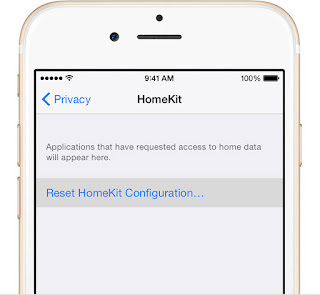 To delete all of the home data from your iOS device and iCloud, go to Settings > Privacy > HomeKit and tap Reset HomeKit Configuration. 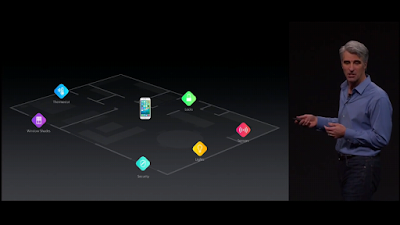 Spoiler : You need both WiFi & Bluetooth to be turned on for the homekit services to be used. But what if you lost your iOS device? Wouldn't that be dangerous? The only thing you can do is head over to find my iPhone, turn on Lost Mode or erase the device, or change your Apple ID password to prevent anyone from using HomeKit from your missing device. For those who live in Android platform, don't worry fellas.. Google's got you covered with Brillo, their way of connecting home devices, or simply internet of things ! I'll cover it extensively in my next article. Also see : OS X EL Capitan, features : Explained !